Fired by the reviving Celtic vision, people throughout the world come to the Holy Island if Lindisfarne, cradle of Christianity for English-speaking people. In this spoken-word CD, Celtic Journey, Ray Simpson, who lives on the island, invites you to capture the image and walk the pilgrim way across Lindisfarne, stopping at five pilgrim posts and letting them become landmarks of Celtic spirituality which speak to modern people, enabling us to discover its rich treasures afresh. 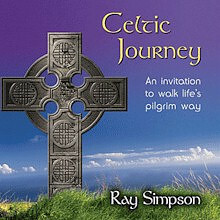 Celtic Journey by Ray Simpson was published by Kevin Mayhew in July 2004 and is our 33656th best seller. The ISBN for Celtic Journey is 1490149. Be the first to review Celtic Journey! Got a question? No problem! Just click here to ask us about Celtic Journey.